In response to the #MeToo movement, D.C. introduced a bill that would substantially limit the enforcement of non-disclosure agreements related to claims of sexual harassment and discrimination. In the wake of the #MeToo movement, a wave of federal and state laws aimed to enact workplace reforms, including limiting the enforceability of nondisclosure agreements and mandatory arbitration clauses in discrimination settlement packages and employment contracts. In July, the District of Columbia introduced Bill 22-0907, the Sexual Misconduct Sunshine Act of 2018. On October 4, 2018, the Council of the District of Columbia held a public hearing about the proposed bill. The bill would apply to any employer with one or more employees in the District of Columbia. The proposed legislation prevents employers from requiring employees to sign “nondisclosure agreements, waivers, or other documents” that would prohibit factual disclosures related to claims alleging sexual misconduct in violation of the D.C. Human Rights Act. The bill would also prevent employers from requiring an employee to sign a nondisclosure agreement, waiver, or other documenting as a condition of their employment. Any confidentiality agreement not signed at the behest of the aggrieved employee would be considered void and unenforceable, unless entered into at the employee’s request. Finally, the bill would require the Mayor and Office of the Attorney General to submit an annual report to the Council about public funds used for awards and settlements involving claims of sexual misconduct. Employers in the District of Columbia should refrain from entering into non-disclosure agreements or other confidentiality agreements during sexual harassment or discrimination settlement negotiations. Employers also should not require employees to sign non-disclosure agreements or waivers as a condition of employment. 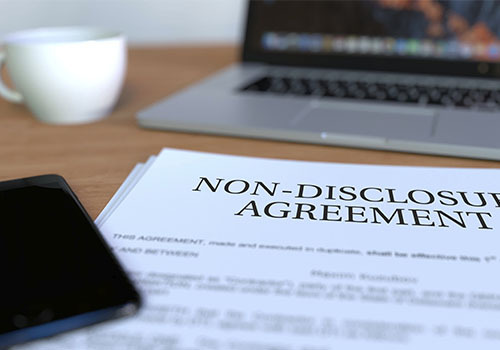 Additionally, multi-state employers should pay close attention to the varying limitations imposed by state and federal laws regarding confidentiality agreements related to sexual misconduct when drafting settlement and employment agreements. Welter Insights is a comprehensive national employment law and litigation blog covering recent court decisions, new legislation, active cases and emerging issues at the local, state and federal levels. The articles, written by Welter attorneys, provide actionable insights into the rapidly evolving world of employment and workplace law. See content from the most recent Employment Law Insights newsletter.